Read this article on Growing Your Own Food, Russian Style . It reminds me of what a blessing it is that I have a garden and country life right out my door and don't have to travel far for good health and therapy. Those of you who know me, know I'm a great promoter of education. I have attended and taught elementary through college in many different educational settings around the world and among my several degrees have a masters degree in education. You will also know that I very strongly believe college is only one of many ways to get an education and that for many, college is a bad investment. Michael Bluejay's web site on How to Save Electricity is one of the best websites to learn about and understand ways to save on your electric bill. Check it out. Another great list from Marc and Angel Hack Life Blog I hearty agree with them. 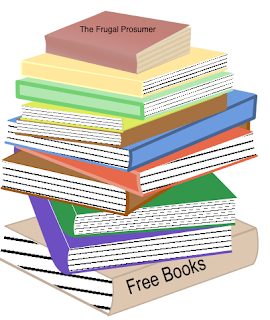 The Frugal Prosumer knows that education is key to getting ahead in life. But they also know there are many other ways to get educated than just spending big bucks on college.